Bath County’s history is wrapped around the many thermal springs that are so prevalent in our valley and ridge landscape. The villages of Hot Springs, Warm Springs, and The Omni Homestead resort were all built around large thermal springs that attracted visitors long before settlers arrived in the 1700s. George Washington was sent to Bath and Highland in 1750 to build outpost forts leading up to the French and Indian Wars. Soon afterwards, German, Scotch and Irish settlers moved west from the Shenandoah Valley, and Warm Springs became the center of activity. 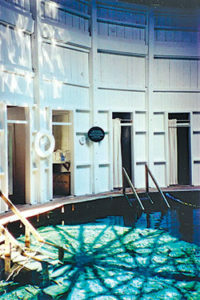 The Warm Springs Pools and large Hotel that stood behind the pools were the primary destination. Warm Springs had over 20 pubs as many settlers chose a route west through Warm Springs as the shortest path to the Greenbrier River that flows into the Mississippi. The western boundary of Bath and Highland is the eastern continental divide where rainfall flows east to the Atlantic or west to New Orleans and the Gulf of Mexico. In 1893, the Ingalls family brought a train line to Hot Springs and improved The Homestead to its world class status. Their efforts attracted financial support and residency of people like J.P.Morgan, Lettie Pate Evan (CocaCola Heir), Mary Pickford and Douglas Fairbanks. The heyday of “Summer Cottage” construction began with the Ingalls’ ownership of The Homestead and was only interrupted by The Great Depression and WWII. The Homestead regained all of its glory after the war and continues as a major avenue for introduction of our spectacular terrain and community to visitors. 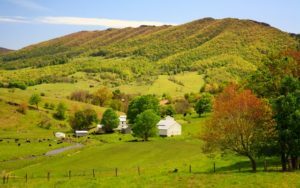 Today Bath County reflects a diverse community of estates, working farms, cabins and resort connected homes. 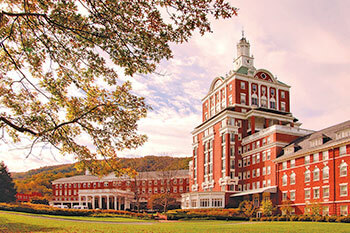 While having a population of only 4,500 people, Bath County has an exceptional hospital with direct diagnostic connection to the University of Virginia Hospital. Garth Newel Music Center attracts world class classical and popular artists. 53% of the County is National Forest that provides us with over 200 square miles of preserved ridge lines, trout rivers, trails, and wilderness access. 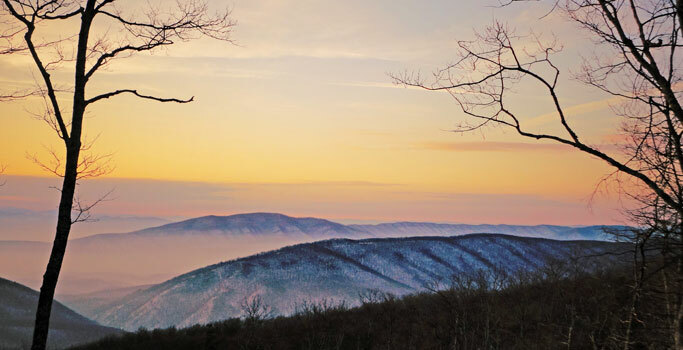 The 10,000 acre Nature Conservancy Warm Springs Mountain Preserve protects our highest ridge line that can be seen from the Blue Ridge. We believe we have the best of two worlds: the amenities of the Omni Homestead and Warm Springs on one hand, and the scenic beauty of untouched mountains, lakes and rivers bypassed by most of the world. 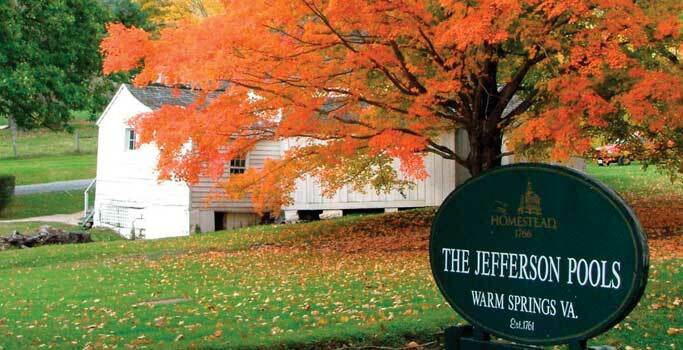 For residents here, the close proximity to the towns of Staunton, Lexington and Lewisburg offer us everything we need. We value the fact that when we’ve had all we want from town, we can head back over the mountain to enjoy the quiet and safety that makes our lives here so peaceful and fulfilling. 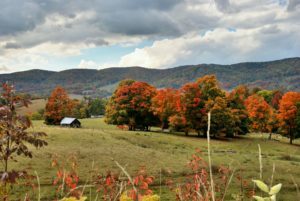 When it comes to scenic beauty, pristine environment, an escape from summer heat and a close knit community based on rural values, Highland County has it all. Highland was formed in 1847 from portions of Bath and Pendleton Counties as a result of the completion of the Staunton-Parkersburg Pike which became a critical supply route during the Civil War. Parts of the Pike are still used today as Rt. 250. Highland has several Civil War battle sites and honors the McDowell battle through annual reenactments. Today Highland is one of the least populated counties in the east with a 2015 population of 2214 residents. It also ranks as one of the highest average elevation counties in the east. Few areas anywhere can compete with the pristine environment and tremendous scenic beauty where maple and red spruce dominate. Virginia’s two largest rivers, the James and Potomac, begin in Highland on the same farm. They are born together, but leave the farm in opposite directions only to be joined together again at Hampton Roads before entering the Atlantic. Upland grazing farms for cattle and sheep create most of the open land and Highland is the southernmost community to produce significant amounts of maple syrup. Highland celebrates all forms of maple products each March with a Maple Festival that draws over 30,000 visitors each year.